Buds, Bees and Bloom. Its pollination time! These three B's are vital parts to a successful almond pollination and production. Over the next couple weeks I will walk you through Pollination's 3 B's and how each one is an important step to almond farmers. First up, buds. In the Central Valley we are experiencing plenty of foggy days mixed in with a couple of sunny 70 degree days every once in awhile. These sunny days are important this time of the year to help those little almond buds grow. The bud is the first stage the almond bloom goes through. In the middle of January the buds start to push, meaning the buds will begin to break open and swell slightly, eventually showing just a hint of pink or white color. It is this stage we can tell if the buds are going to be flower buds or vegetative buds. At this point the difference between vegetative and flower buds is the flower buds look huge in size in comparison to vegetative buds. The vegetative buds will make new shoots and leaves for the tree. 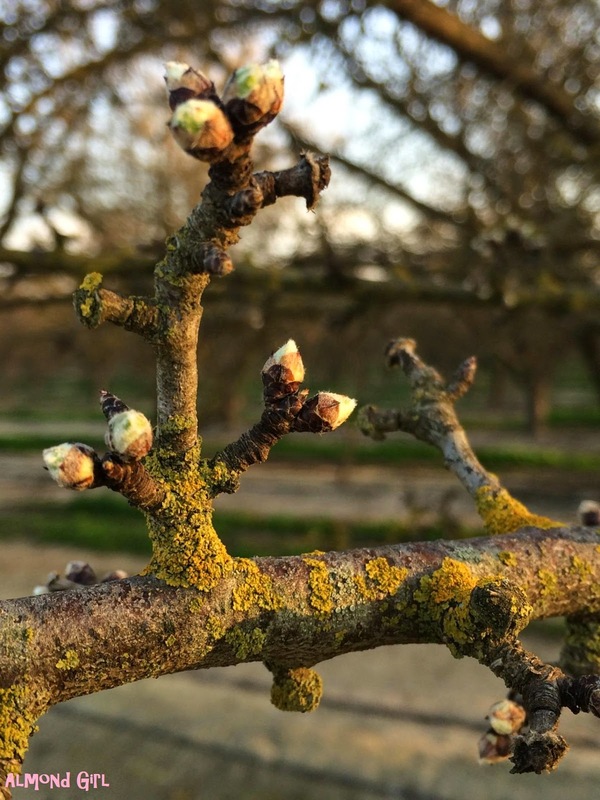 These buds are important in order for the tree to have plenty of energy and protection for those little almonds. Vegetative buds will also start to push around this time and in a month or so new leaves will be showing up on the trees. Flower buds will turn to bloom and be pollinated by the bees. These buds are most important to farmers because these will become the almond. Not every little bud will make a viable bloom, and not every bloom will make an almond. So it is very important to make sure we protect each bud to ensure we have a successful almond production. It is during bud break that we will communicate with our beekeeper of the timing the bees will arrive!